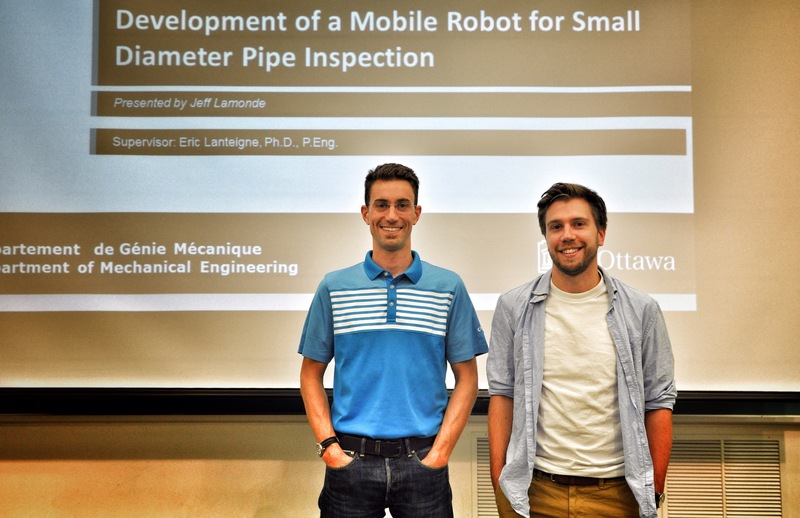 Yesterday, Jeff Lamonde presented his MASc thesis seminar on “Development of an Autonomous Inspection Robot for Small Diameter Pipes”. 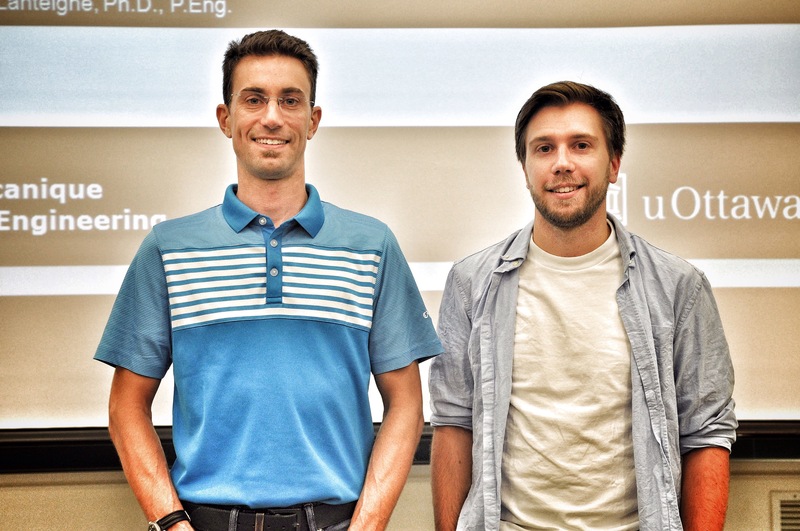 Interesting talk, and supervisor Dr. Eric Lanteigne was present to support his student. Missing in action were the timbits and coffee. There was a near riot, but luckily we staged an intervention. No riots. Sadly, no timbits either.